Europe has worked hard on becoming a strong economical area. Labor and resources already move quite effortlessly across the continent. 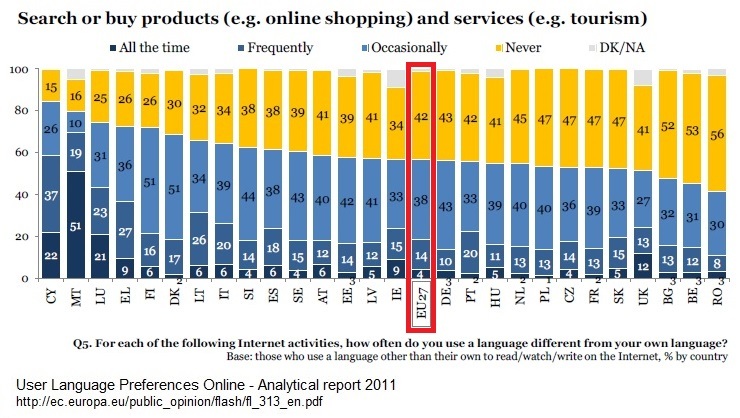 The next goal seems to be the creation of single digital market in Europe. It means that customers and sellers in different European countries could interact and do business together with ease. The goal is good but not simple to execute due to the language barriers. Europe is linguistically a very versatile and rich continent. 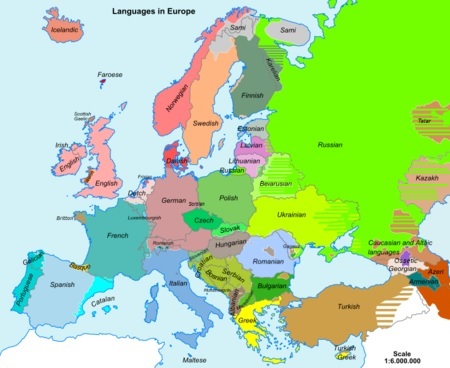 The EU has two dozens of official languages. Many Europeans can speak some English but very few are still ready to buy something with some other language than their mother language. The wide variety of language is the biggest obstacle to the truly single digital market. Language is a sensitive thing to most people. Language is a part of the national identity and a symbol of independence. Thus it’s unlike that there would ever be a common European language that every European citizen could understand. When there isn’t a common language, it is very challenging to do business without a translation solution. It isn’t possible to break down the language barriers and keep the languages as they are – unless we rely on language and translation technologies. Machine translation is one possible solution whether you like it or not. There aren’t enough translators or interpreters to translate every email or phone call between a seller and a buyer, and not all sellers can afford to buy professional translations. The language question isn’t easy to answer. If the EU wants to boost European economies through the concept of single digital market it has to pay attention to this issue. We need technological solutions that could make the communication between Europeans much easier. All machine translations aren’t the same. When raw machine translation isn’t enough, qualified machine translation could help. It evaluates the available translations and selects the best one for you automatically. Click here to learn more. Previous Previous post: Is Social Media Changing the Way We Use Languages?